St. Francis Xavier utilizes Blackboard Connect, an automated information service to notify parents if the school is closed or needs to close due to an emergency situation. If Medina City Schools close, St. Francis Xavier School is also closed! Blackboard Connect will call you with all notifications if the school is closed or needs to close due to an emergency situation. It would be better if you did not call the school or the rectory for closing information in the morning. If Medina County Schools, i.e., Buckeye, Cloverleaf, Highland are closed, that does not necessarily mean that Medina City Schools and St. Francis Xavier School are closed. Pay close attention to the announcement. If there would be a need to close just St. Francis Xavier School due to an emergency situation, we would notify you through the major TV as well as through our Blackboard Connect service. 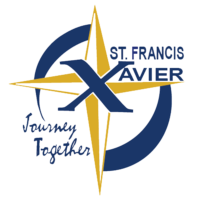 Because a significant number of our students rely on Medina City Schools for bus transportation, we at St. Francis Xavier School follow their schedule for delays or closing of schools that are weather related, (see page 10 of our Family Handbook). You will receive notification from SFX School by phone via Blackboard Connect. Listen to the television for the announcement or log onto Medina City School’s Website, www.medinabees.org. You can also see the announcement on their cable TV channel 36. Information from Medina City Schools about closings and delays can be found by clicking here.